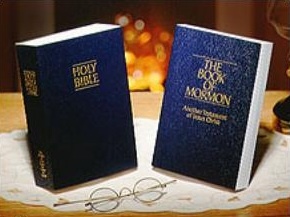 My family and I just completed our goal of reading the Book of Mormon. Our goal was to finish it by Stake Conference. And, I can happily report that we were, of course, very blessed by the effort. Most of the project was completed over a 5 month time-span, listening to a chapter here or there either read aloud by a person or via CD. In the last month we began in more earnest to read enough to finish out in time. Last night my daughter read Moroni 10:3-5 out loud. Here is the best part of that chapter. I know to some reading this that those verses will seem a bit cliché, but they are indeed the most effective means of understanding anything, not just the Book of Mormon. Don't take any human being's word for it that anything is truth. Ask God for the confirmation of truth and, in His time, it will be given to you.